A landlord in British Columbia recently learned a costly lesson regarding tenancy agreements and early termination fees. The case provides some valuable insights for landlords. In this instance, the tenant initially agreed to a one-year lease term, but before moving in renegotiated to add a second year. The tenancy agreement was sent to the tenant via email. According to the tenant, no discussions took place between the landlord or property manager and the tenant at that time, and the signed lease was returned via email. Fourteen months later, the tenant allegedly defaulted, and the landlord served a 10-day notice to terminate the lease. The tenant remained for 32 more days. The tenant claims that an electronic rent payment option was available to the landlord, but that the landlord did not attempt to collect rent. After recovering the unit, the landlord incurred around $400 in cleaning costs. The tenant did not dispute those costs. The dispute centered around a provision in the tenancy agreement that required the tenant to pay an additional liquidated damages charge of one and one-half months’ rent for early termination. In this case, the amount owing under the lease provision was $2,250. 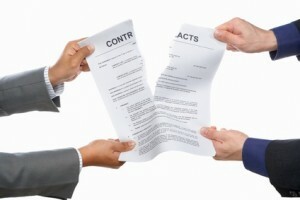 According to the arbitrator hearing the dispute, the first part of this lease requirement — that the tenant give five weeks’ notice despite having received a 10-day notice to quit — violates the Residential Tenancies Act. Therefore, it is not enforceable. It is important to note that this two-part lease provision was drafted as one sentence. Because of that construction, the arbitrator was inclined to throw out the second portion — the early termination fee — simply because the first portion of that same sentence was unenforceable. However, the arbitrator chose to address the early termination charge and offered additional guidance on the subject of liquidated damages in a tenancy agreement. While contract law may allow for an early-termination charge in a residential lease agreement, that charge must be agreed-upon by the tenant, and the figure must represent a “genuine pre-estimate” of the landlord’s potential loss at the time the contract is entered into. Excessive fees would constitute a private penalty, and therefore, would be unenforceable. While the landlord argued that she would not be able to find a new tenant sooner than a month and a half after the tenant vacated, the landlord presented no documentary evidence that would support that figure. In the absence of such proof, the arbitrator concluded that the liquidated damages clause was “determined on the spot,” and disallowed it in its entirety. This situation also highlights that long-term leases are not always beneficial for landlords. The key is to treat all new tenants as though they will be long-term tenants, regardless of the original term stated in the tenancy agreement. By running a tenant credit check and seeking references from previous landlords, you can reduce the likelihood that your tenant will leave early and cause income loss.